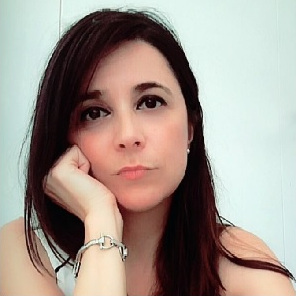 Greca Meloni is a Journalist (Association of Journalists of Cagliari, 2004), she has a Degree in Communication Sciences and Journalism (University of Sassari, 2004) and a Specialization for Press Officers (Eidos Communication, Rome, 2004). She attended courses on science communication and research such as “The public communication of science and technological innovation”. She has got a Master on "New frontiers in marketing and communications - From the search marketing to the social networking (Eutropia/Centro servizi per le imprese, Camera di Commercio, Cagliari, 2010)”. Since 2000 she deals with communication at CRS4, especially she edited the magazine of CRS4 (Io Ideo) from 2001 to 2006 and the magazine of the Sardinia Technology Park (WebPolaris), she manages public relations and media relationship. Since 2006 she is working for Sardegna Ricerche, the government agency that manages the Technology Park of Pula (Cagliari) and her duties include communication and external promotion, territorial marketing, media relations and editing of Archimede webzine (the new online magazine of the Technology Park). Since 2010 she is the head of the CRS4 Press Office. Main interests: journalism and media relationship, communication with internet and social media networks, external relations. Occasionally writes articles for some magazines, for example Sardinews and UnicaNews (the magazine of the University of Cagliari).